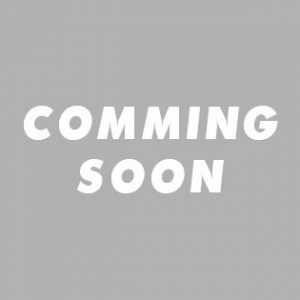 Pharma Franchise for Antifungal Products – Fungal skin infection is caused by different fungai and can be treated by Antifungal Product range. Since skin is the largest and most important organ of human body, therefore, there is a huge demand for skin care or the derma products. 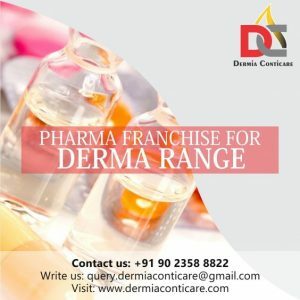 Dermia Conticare, the leading Dermatology products manufacturer, and supplier in India, is offering Pharma Franchise for Antifungal Range with the motive of providing best quality products for customers and business opportunity to the pharma professional. We meet the need of both our customers and dermatologist by providing the best quality range of derma medicine. The company is offering the excellent and diverse range of drugs for the fungal skin infection. Our antifungal range of drugs is huge in demand and trusted by the dermatologist and another skin specialist. Dermia Conticare is the perfect blend of innovation and technology which is why our products meet the international standards. By opting Pharma Franchise for Antifungal Range of drugs, you get the best opportunity to be the part of top Derma Company in India. Dermia Conticare is the leading name in the skin care industry and offers the best quality range of skin care products which are manufactured in the fully integrated unit. Give us a call to know more about this amazing business opportunity. Dermia Conticare is one of the most trusted names in the skin care industry for Pharma Franchise business. The company has the excellent team of experts who are very well in their work and deliver us with the best results. We ensure to provide the best quality range of drugs and make sure more and more people could get their access. Associate with the most reliable and top name in the Derma industry and set up your own successful business. Here you will get the best support which included marketing backup, on-time delivery of products and a lot more. India being the 2nd most populated country in India have the number of skin reacted issues and problems. Most of the skin problems are caused due to the fungai and thus, known as the fungal disease. The humid climate of the country is also the reason for this skin issue. The fungal skin infection is needed to be treated on time otherwise it keeps on spreading on the skin. There is a huge demand or Antifungal Range in Indi and thus, investment in this sector will bring good investment. Quality is a priority for Dermia Conticare. Therefore, all our products meet the highest standard and all parameters of manufacturing. We have the quality management team; this team keeps the good check and supervise the quality at every level of manufacturing. Our state-of-art manufacturing unit which is fully integrated with the latest technology and machinery helps us produce the products with complete excellence. The raw material and the ingredient which is used for the manufacturing are supplied by the best vendor in the industry. All the products after manufacturing are stored in the spacious and germ-free zone from where they are shipped for delivery. What are benefits of associating with Dermia Conticare for Antifungal Range of drugs? 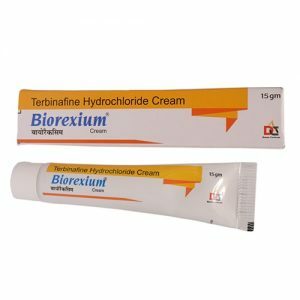 Dermia Conticare is the top derma company in India with the motive to provide the best and the most effective range of medicine for the skin care. We deliver an excellent range of pharma products which are huge in demand and highly accepted by the people all over the country. Start your business with us and get the immense success in this domain. Our products are manufactured by using the best quality raw material and ingredient which are supplied by the best vendor in the industry. We ensure to provide the best quality range of drugs at the competitive prices. Our associates get good incentives on meeting the annual target. The company regularly introduce new and innovative products according to the market requirement. We keep our associate update with the latest launch and development through newsletters. The Company products at the good profit margin along with best quality packaging to ensure the quality even after manufacturing and delivery.